Enjoy Utah! : WELCOME ABC4 and CW30 Morning News Viewers! WELCOME ABC4 and CW30 Morning News Viewers! A huge welcome to ABC4 Good Morning Utah and CW30 morning news viewers, and welcome to Enjoy Utah! If you ever have any questions about finding information on this site, email us at contact@enjoyutah.org. Make sure to watch again next Thursday morning on the CW30 and ABC4 for more fun things you can do with your kids! Here is the information we talked about today. Click on the title for more information about that specific activity, and don't forget to watch next week for more fun ideas! People travel for hundreds, and even thousands, of miles to see the Great Salt Lake, yet there are many locals who have never been out there. This summer, take time to see what is one of our biggest tourist attractions in the state! Gardner Village Historical Scavenger Hunt and Farmers MarketDid you know that Gardner Village was built on a historic mill, and each shop is a historical building relocated to Gardner Village from around the state of Utah? During the month of July, download the FREE historical scavenger hunt, and learn more about the history of Utah and the buildings and land of Gardner Village while completing it. 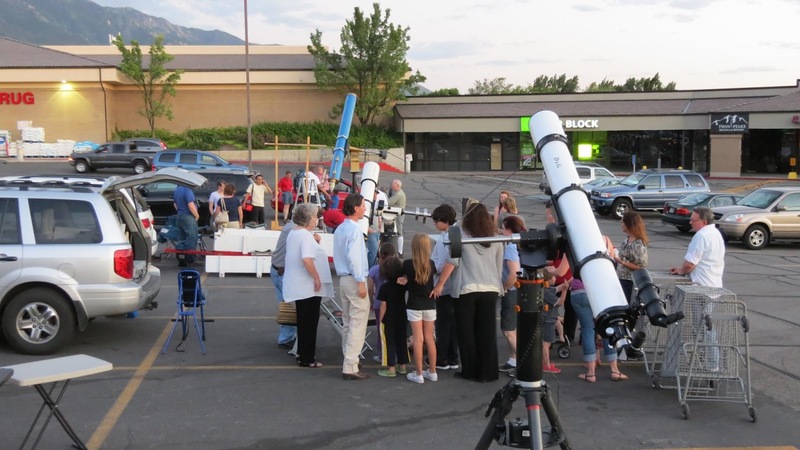 All over the state of Utah, all summer long, experts are on hand with their high-tech telescopes, and ready to answer any questions you have as well as educate you about the universe.